We are excited to announce that effective September 1st, 2016, the Montgomery ENT Institute will be merging with Dr. Sondra Saull’s office located in the Holy Redeemer Medical Office Building in Meadowbrook, PA. This union of teams will ensure the level of excellence in patient care that you have come to trust from both practices. Both Dr. Schwartz and Dr. Ondik will continue to have hours at their Elkins Park office, but will now have additional hours at the new Holy Redeemer office. Dr. Saull will continue to see patients at the Holy Redeemer office. Dr. Saull has been in practice for 30 years and is board certified in Otolaryngology, Head & Neck Surgery. She uses an integrative approach to the medical management of Ear, Nose and Throat conditions, and has a special interest in working with the older patient. Dr. Schwartz founded the Montgomery County ENT Institute in 2007 to address a need for personalized and specialized care. With 20 years of experience, her passion for patient care has served patients of all ages in the Philadelphia region. She is board certified in Otolaryngology, Head & Neck Surgery and is a Fellow of the American Academy of Otolaryngic Allergy. Dr. Ondik joined Montgomery County ENT Institute in 2014, and in addition to ENT care, is a double-board certified surgeon with a special interest in facial plastic and cosmetic surgery. He is board certified in Otolaryngology, Head & Neck Surgery and Facial Plastic and Reconstructive Surgery. 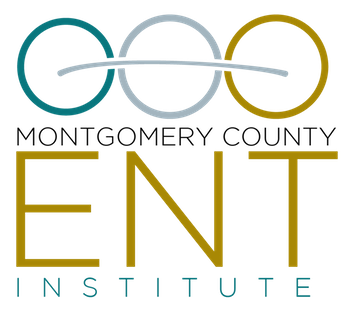 We look forward to continuing to serve our patients as the Montgomery County ENT Institute. A sore throat is a fairly common complaint, and there are many causes from post-nasal drip to more serious causes, like infection or tumor. Otolaryngologists are doctors who specialize in ear, nose and throat disorders. They are able to conduct a thorough examination with special scopes to visualize the throat and voice box, and evaluate the cause of your sore throat. Could it be from allergies? Or a cold? Post-nasal drip is when excessive mucus produced in the nose drains down the throat causing irritation. Allergies or an upper respiratory infection like the common cold can lead to post-nasal drip. A post-nasal drip from allergies can be seasonal or year-round. Allergy testing is beneficial to help identify which allergens are triggering your symptoms. Topical nasal steroid sprays and/or antihistamines can be helpful. If your symptoms persist even on medications, you may benefit from allergy therapy with allergy shots, allergy drops placed under the tongue or allergy tablets. Could there be an infection causing my sore throat? An infection of the tonsils, known as tonsillitis, is a common cause of a sore throat which is usually severe in intensity. It comes on quickly and is often accompanied by fever, pain when swallowing and swollen lymph nodes in the neck. Pus is usually present on the tonsils when it is bacterial. ‘Strep throat’ refers to the name of the bacteria (Streptococcus) that causes a common bacterial tonsillitis. This kind of throat infection should be treated with antibiotics; however a viral infection of the tonsils does not require antibiotic therapy. Both types of infections usually resolve within 7-10 days. A tonsillectomy may be necessary for patients who experience multiple episodes of tonsillitis each year. Could it be related to my diet? Acid reflux, also known as Gastroesophageal Reflux (GER) or Laryngopharyngeal Reflux (LPR), can cause recurrent sore throats. This is when acid from the stomach travels up into the esophagus and around the voice box causing inflammation. Many notice the sore throat is worse in the morning just after waking up, and this is due to acid reflux occurring during the night while you are sleeping. Heartburn and indigestion are not always present with LPR, and this is known as ‘silent reflux.’ Other symptoms include a dry cough, a sensation of mucus in the throat, throat clearing, hoarseness, and difficulty swallowing. Antacid therapy, such as Tums, Pepcid, Prilosec (Omeprazole) are a few of the over-the-counter medications that can help alleviate the sore throat caused by reflux when taken over a few weeks. It is important to treat acid reflux because it is a risk factor for cancer of the esophagus. Lifestyle changes are also important to help eliminate this problem causing your sore throat. Caffeine, chocolate, alcohol, spicy food, peppermints, acidic fruit juices are common food triggers of acid reflux. It helps to elevate the head of the bed when sleeping and to avoid eating late at night. A pH probe is a useful test to help diagnose and determine the severity of acid reflux. It entails having a small, thin probe placed into the nose and throat which can detect if acid is reaching the back of your throat. You can still eat, drink, and sleep normally while having the pH probe in place. This is a useful test since many patients have acid reflux at night when they are sleeping so they are unaware it is occurring. Is this a symptom of something more worrisome? Sometimes a sore throat is from a malignancy, or tumor, in the head and neck. If you have a sore throat that persists longer than 1-2 weeks, you should schedule an appointment with a medical provider. Certain symptoms, such as difficulty swallowing, a change in your voice, unexplained weight loss, or a lump in the neck raise a red flag of something more worrisome causing your sore throat, and you should see a medical provider immediately.